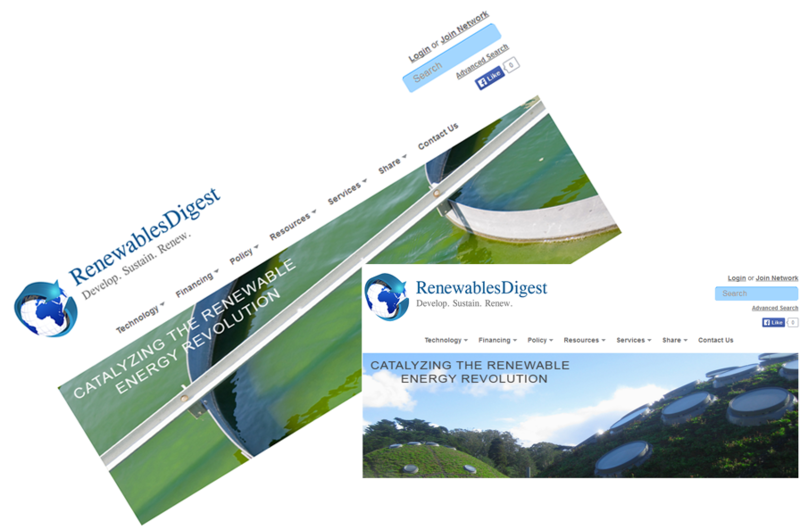 RenewablesDigest is an online collaboration portal for curating and aggregating links to the most relevant, practical, and authoritative content on the subject of renewable energy and clean tech. 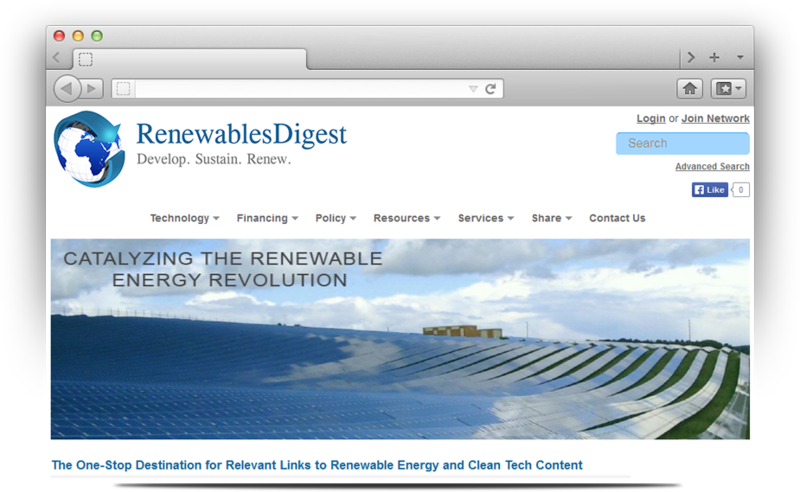 It is invite users to browse the portal and review the contents. 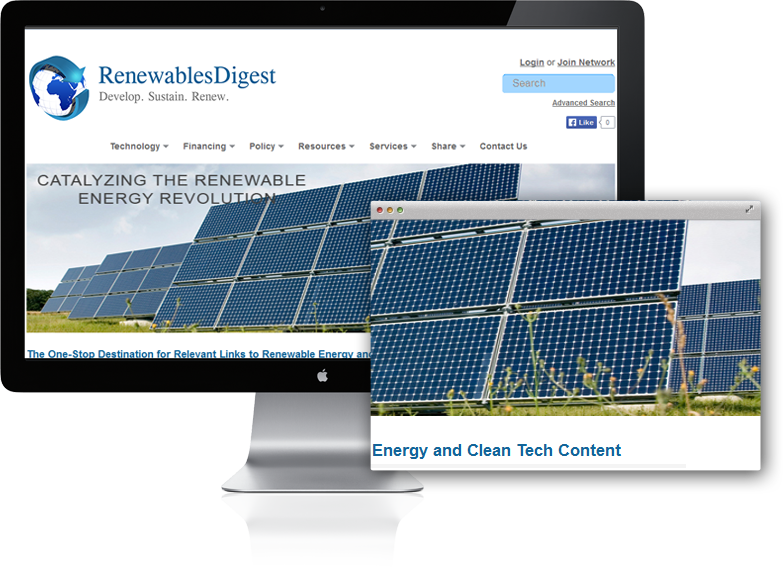 It is encourage users to sign up or register to comment or rank existing content, or suggest additional content for inclusion in the portal. 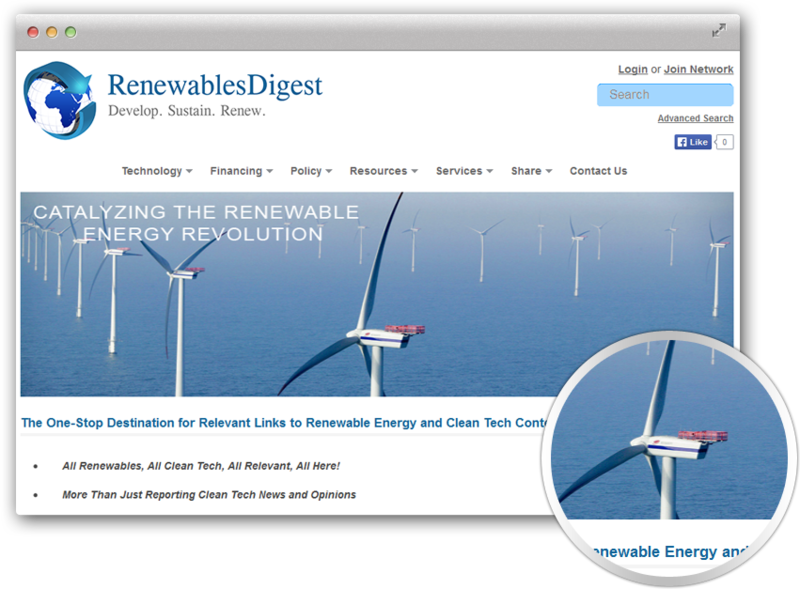 As a registered member, Users can also receive the latest additions to the portal by email. For enterprises and other commercial partners, It invite user to post the job openings, company profiles, or advertise other services in “Services” section. We have also integrated 3rd-party curation tools to be specified (specifically “Storify.com” and “Scoop.it”) to be used to add content to any category or subcategory under the current headings and subheadings.